The neighborhoods of Old Las Palmas and Vista Las Palmas are some of the most gorgeous residential areas in Palm Springs, known for beautiful mid-century modern homes and celebrity status residents. We’ve put together a running tour of some of the area’s nicest streets. Start out on Alejo Road, and bear north onto Patencio Road. From there, sweep east on Via Las Palmas, and return south on Via Monte Vista. These communities are possessed of spectacular gardens, towering palms, and high-end homes to rival your favorite architecture Instagram account. 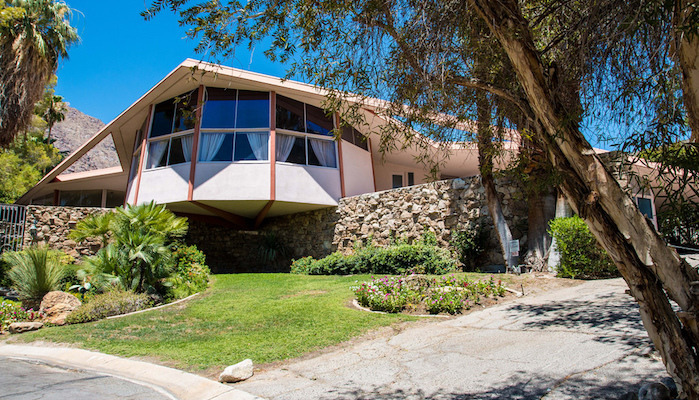 Hint: make sure to detour up Via Las Palmas for a look at Elvis and Priscilla Presley’s famous Honeymoon Hideaway. There are also good opportunities to improvise or add on to the run, such as our N. Palm Canyon Dr. run, or in the area just east of N. Palm Canyon Dr., and over to Ruth Hardy Park.